Check out these Abstract Retro Flower wall decals! Our wall decals are ideal for offices, living rooms, entryways, classrooms, even your car or glass shower doors! Sizes vary in size from 3.5 - 11 inches wide to 3 - 10.5 inches tall. You will receive everything shown in the image, and you will be able to create your own look! Colors shown- Orange matte and Dark Brown matte. 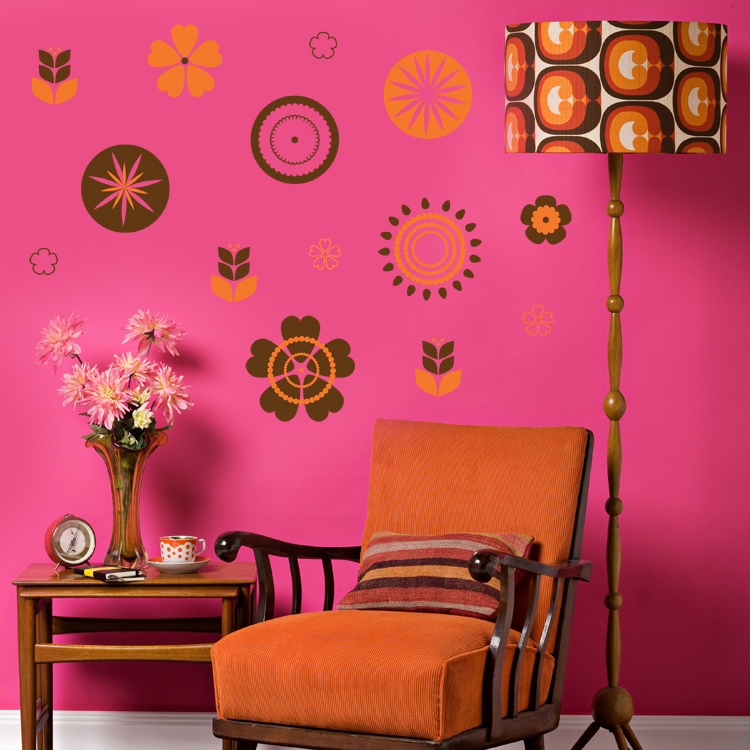 Our Abstract Retro Flowers come separately so you can place them however you choose! I recieved Elephant and monkey decals for my two sons room as a gift and I just wanted to say thank you! The decals are high quality and super easy to apply and my son has been talking about the elephants on his walls for days, you made a 3 year olds day!!! Absolutely beautiful! We put the cherry blossom branch in the corner behind our catty corner tv. This area has been bare for ten years. I could never figure out what to put in that corner.... The decal is stunning, it really looks like an artist came and painted it. Thank you!